As mentioned in our previous post, About Basic Education (Basisonderwijs) in Gent, new residents in Belgium must enroll their school-aged children in school within sixty days of completing their national registration. 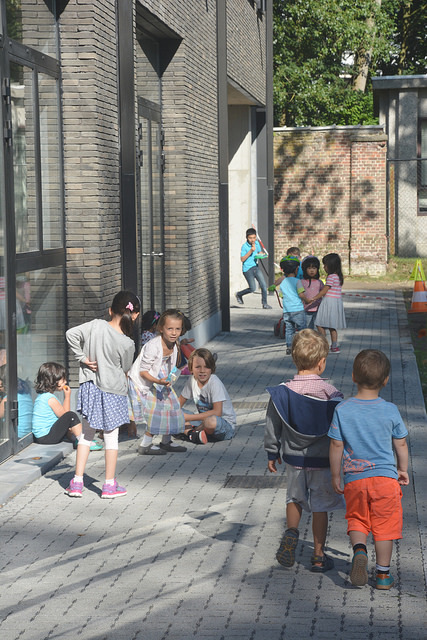 This article describes how to find and enroll in Pre-Primary and Primary schools in Gent. As an expat new to Gent, the idea of finding and choosing a school for your child(ren) might be daunting. It is common for expats to compare local schools to international schools or other private school options. There are benefits and challenges to all options. Attending local schools is great way to meet locals, immerse your children and family in the local culture, and it is low cost. Attending an international school is a great way to meet other expat families and children in similar life circumstances, and provides an internationally recognized curriculum. Of course, choosing an international school or other private school comes with tuition cost. Some expats are able to negotiate the cost of an international or private school into their contract with their employer. You may be considering your child’s age, how long you will live in Gent, what languages you and your child speak, and your plans for future moves. When reviewing schools, you may want to know their approach to multi-lingual education, their support for non-native language speaking pupils, the extent of diversity in the school community, and opportunities for parental involvement. You probably also want to consider curriculum, assessments, and extracurricular activities. There is an international school in Gent for Pre-Primary and Primary students, The International School Ghent. For more information, visit their website and read our in-depth article, “Profile: The International School Ghent”. Photo courtesy of the International School Ghent. For local “official” schools, the best place to start looking is through the Meld Je Aan website. This is the required website for registering your child(ren) for official schools in Gent. If you are registering for school outside of the annual enrollment period, this website will tell you which schools have free spaces available. Therefore, it is an especially good place to start outside of the formal registration period because it narrows down your possibilities by current availability. This webpage from the City of Gent provides an overview of educational providers in Gent. On the page you can search an interactive map of all schools in Gent. The site also lists educational providers in categories such as community education, provincial education, Catholic education, subsidized education, and international. It also links to this Education Chooser (onderwijskiezer), which lists all schools in Gent in categories by education level, special education, and more. The “School in je Buurt” website helps you get to know schools in your neighborhood. They organize informational evenings, school visits, and neighborhood walks in December, January, and February to help parents meet their local schools, and meet each other. They work with schools in 13 neighborhoods in Gent. The website has an interactive map and lists their participating schools. Registration for their neighborhood walks is required and can be done through their website. The Flemish Ministry of Education and Training website lets you search for Primary schools throughout Flanders. Here you can search for official local schools and Method schools that use unique instructional philosophies like Montessori and Steiner. If your child requires special needs education (buitengewoon onderwijs), you can find information at this link on how to qualify for special education services and how to find Primary schools offering special education. They also provide information on Home Schooling. In addition to these resources available online, many expats find it useful to get recommendations from local friends, neighbors, and work colleagues. Once you identify your school(s) of choice, you must register. For private schools, the enrollment process will vary and can be determined directly through the school. Registration for official Pre-Primary, Primary, and Secondary schools in Gent is all done though the Meld Je Aan website, meldjeaan.gent.be. The Meld Je Aan website includes a video, frequently asked questions, and this informative brochure. The brochure is available in seven other languages, here. In Belgium, there is a formal registration period which can vary by region. Gent’s annual registration period is in February. One exception to the registration period is that students with siblings enrolled in a school, or with parents who work in a school, can begin the registration process in October. If you need to register outside of the formal enrollment period, use the Meld Je Aan website to find current free places. The site maintains a list that you can search by postal code and/or by student’s age and grade level. Just as during the formal registration period, once you find a school, you must go to the school in-person to finalize registration. Basisschool François Laurentinstituut, one of many basisscholen in Gent. For the online portion of the registration process, you must create an account. You must provide an official home address where your child(ren) live(s). You can also provide up to two work addresses. You can change registration information in the system at any time during the registration period, but must always be able to provide proof of addresses. You also must provide a Belgian registration number for your child(ren). If you do not have one, contact the Meld Je Aan office. Upon in-person registration, you should also be prepared to share a valid ID for your child(ren), proof of address, and possibly information regarding vaccinations and previous academic records. The online registration process asks you to select and rank a list of schools in order of your preference. It recommends selecting at least five schools. It uses your preferences, combined with system priorities, as selection factors in school assignment. During registration you can see how many free spots each school has in each class level. It is recommended that you put schools in order of your true preference, regardless of how many open spots they have. This ensures you are placed on waiting lists based on your preferences. Selecting a minimum of five schools in your list gives you the best chance at getting one of your picks. You will be put on the waiting list of each school on your list that you don’t get into. If spots open later, you will be informed, and you may be able to move your child. You will not be assigned to any schools not on your list. When the enrollment period closes, selections take place. The system grants priority registration first, then all other registrations. Priority registration is given to (1) children with siblings already enrolled in a school, (2) children with a parent who works at the school, (3) Indicator pupils (indicatorleerlingen), students whose mother does not have a Secondary diploma, or whose family has received a Flemish education allowance. Schools fill free spaces with pupils according to these priorities. In addition to the priority registration factors, the system uses the distance of the school to the student’s home or their parents’ work as a selection factor. Distances are calculated by the system using the best representation of walking distance available. Schools with more registrations than free places divide registrations equally between indicator pupils and non-indicator pupils based on distance so that the school reflects the neighborhood. 75% of the spaces go to children who live closest to the school, 25% of the spaces go to children who are closest to the school based on home or parent’s work address. Waiting lists of “unrealized registrations” are created using the same factors. If the school receives fewer registrations than they have open spaces, everyone gets a space. Once the enrollment period closes and you are given a spot in a school through the online registration system, you will receive a confirmation by email. Upon this confirmation, you must register in-person at the school during the time allowed, otherwise you could lose your registration spot. You will also get e-mail notifications of every unrealized registration (schools that you did not get into) which you can use as proof to enroll later if you are notified by the school that a spot has become available. If you are not awarded a spot at any of your preferred schools, you can register directly at another school based on the free-space list after the Easter holidays. Questions about the registration process are best answered by the Meld Je Aan office directly. The registration process via Meld Je Aan is for schools located in official Gent postal codes. 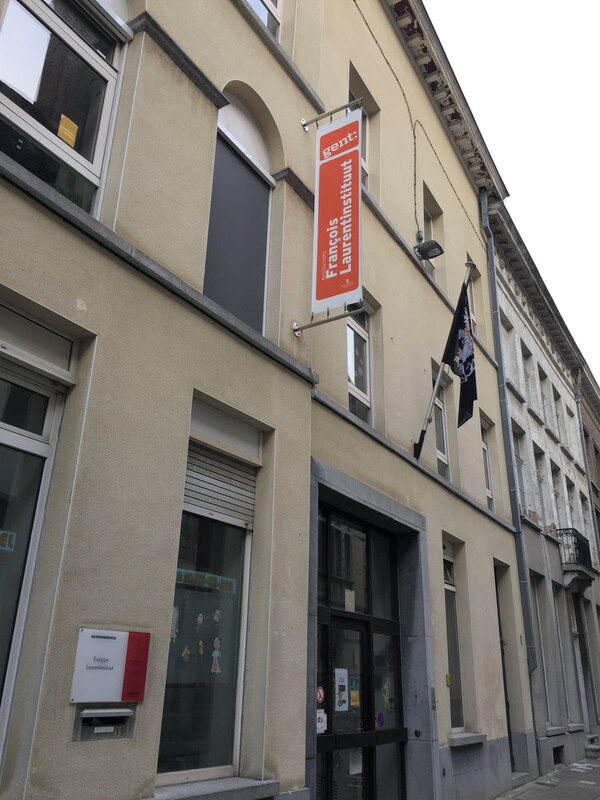 While some of the resources above help you find schools in and outside of Gent proper, those outside of Gent-specific postal codes may not use the Meld Je Aan registration process. If you live in a postal code outside of Meld Je Aan’s coverage, or are interested in schools outside of Meld Je Aan’s coverage, we recommend you get registration information directly from the schools. Your local gemeentehuis may also be able to give you guidance on finding and registering in nearby schools. Are you an expat with a child attending school in Gent? Please comment about your experience with the process, and share any tips you have for other expats who are looking and registering for schools in Gent!